Catherine Mary Meal nee Logue b. 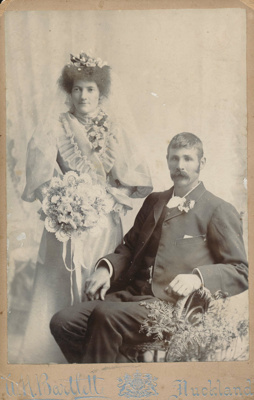 1869 d. 1944 and Joe Meal on their wedding day. Catherine was the daughter of James Logue b. 1827 d. 1990 and Catherine Logue (nee Sweeney) b. 1836 d. 1893.